If you’ve ever watched The CW’s The 100, the last thing you’d expect would be a happily-ever-after. The sci-fi adventure series is known for its increasingly grimdark narrative (cheat sheet: humanity is its own worst enemy, blood must have blood, and there are no good guys) and for killing off fan-favorite characters without mercy. 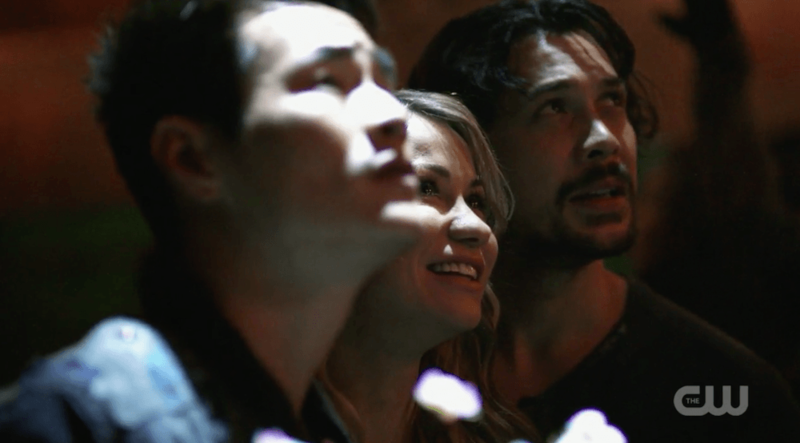 So imagine The 100 fans’ surprise when the emotional climax of the season 5 finale came not in the form of a tragedy or gruesome twist, but a happy ending for two of the show’s most beloved characters. It was a remarkably hopeful ending to what had otherwise been a remarkably hopeless season of television. But, for such a bleak show, this small dose of optimism and individual agency goes a long way. For the past five seasons, The 100 has been an exposition of the darkest tendencies of humanity, a cautionary tale about the imminent self-destruction of our species, and a study of the corruptible powers of power itself, whether it be technology or leadership or personal charisma. The series should almost be required viewing in our current political climate, because it forces us to look ourselves in the eyes and acknowledge the dangers of moral absolutism, putting ourselves and others on pedestals and constructing ‘us’es to fight the imagined ‘them’s. Nobody is innocent on The 100: when pushed to the extreme, there is not one character who will not step way over the line of commonly accepted morality to save the people they care about. Equally reflective of our society is the characters’ increasing sense of helplessness and emotional apathy, as their morality and capacity for empathy wears thin and as they stop even trying to justify their horrific actions to themselves and others. Over the past five seasons, the world has ended three times over, humanity has died off piece by piece, and lead character Clarke Griffin (Eliza Taylor) has pulled lever after lever dooming her enemies, her friends, and even herself. “I tried to be the good guy,” Clarke told her mother Abby (Paige Turco) way back in season 2, heartbroken over the devastating choices she had already had to make. By The 100 season 5, she was no longer trying, having instead adopted a “kill or be killed” mindset and fully embracing the tribalism that she had previously been commended for rising above. Five years in, Abby’s consoling “Maybe there are no good guys” had become a well-tread and tired excuse for most of the characters, who evidently no longer felt any real ability or desire to break out of the cycle of violence that had eroded their souls. 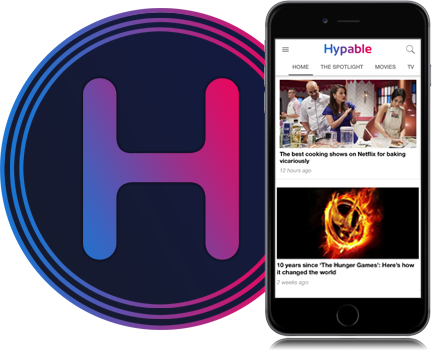 Trapped in that cycle, they soldiered on, with The 100 season 5 characterized by a powerlessness and despondency that made for heavy viewing — but felt painfully relevant to our current social climate. But even in that darkness, there remained a few characters who clung on to their morality and righteousness, and refused to let the world extinguish their light. Monty Green (Christopher Larkin) and Harper McIntyre (Chelsey Reist) chose to go out on their own terms, saving humanity both literally — by finding a new planet for them to inhabit after humanity had wrecked Earth completely during yet another petty power struggle — and symbolically, by showing them that it is still possible to choose another way to live, and to choose to be a good guy. Monty and Harper, both members of the rapidly dwindling group of 100 delinquents that were sent to the Earth’s surface in the pilot episode of the show, had gone through several lifetimes’ worth of tragedy even before season 5 propelled them back into the nightmarish conditions on the ground. 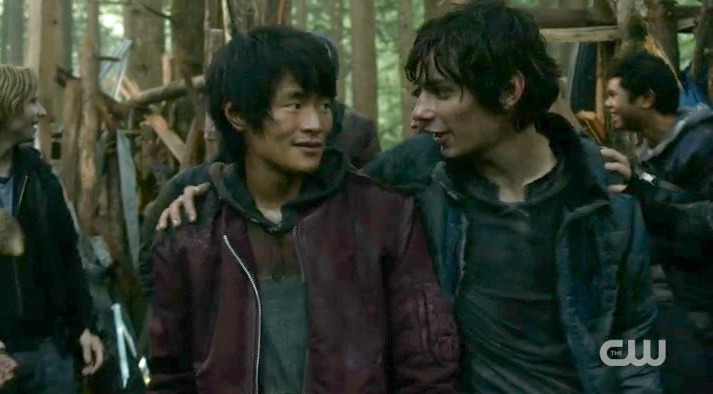 Monty, an original main character, suffered not only the general terror of landing in hostile Grounder territory and being captured by the villainous Mountain Men, but also lost his father, had to kill his mother (twice), and lost his best friend Jasper (Devon Bostick) to suicide. Harper defied all odds by cheating death multiple times, including a horrific ordeal in Mount Weather when she had her bone marrow extracted and was locked in a cage — one of the first times, incidentally, when she bonded with Monty. For all of that, Harper and Monty continued to fight the good fight. They stood against the Mountain Men; Harper and later Monty were prominent members of the resistance against Chancellor Pike; they came to the aid of their friends time and time again. Whatever crisis the ‘heroes’ were facing, Monty and Harper always showed up to help, often turning the tide of the battle with their skills and perseverance. “You’re one of the hundred,” Monty told a struggling Octavia in season 3, right before he killed his own mother to save her. “We save our friends,” a bruised and battered, but ever-resilient Harper told Monty as they changed course from the safety of the bunker in season 4. Despite rarely being offered the screen time either character might have deserved, Reist and Larkin both went above and beyond with the material they were given. Chelsey Reist’s Harper, in particular, deserves accolades here: initially marked for death in the episode that introduced her, Harper was brought back again and again, Reist delivering such a memorable performance that Harper not only became a fan-favorite but was worked into the main ensemble in multiple ways, and always stood out as much more than just Monty’s love interest. 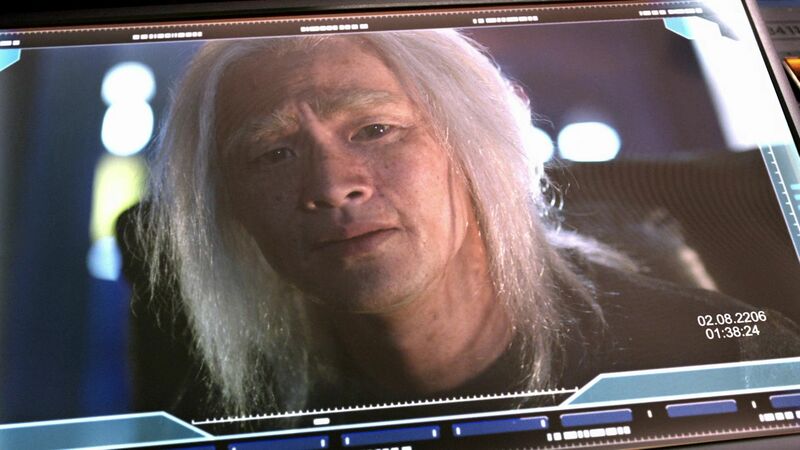 Despite being introduced as one half of a comic relief-duo, Christopher Larkin’s Monty was the steadiest, bravest and most level-headed character throughout all five seasons. The importance of Monty specifically to the overall trajectory of the show lies in the fact that he never broke. While most of the main characters became increasingly burdened by what they have done, and what has been done to them, Monty – who arguably experienced some of the worst traumas of all of them – never let that define him. In all of this misery, losing both parents (one of whom he killed himself) and his best friend, Monty found love. A safe, happy, unconditional love. And he held onto that love, never letting it sour or diminish. And, unlike most of the other characters, he didn’t let the intensity of his love or conviction compromise his morality. Finding love with Harper, under remarkably normal and undramatic circumstances, provided Monty with a source of good. He held on to that goodness, and he let that define who he was and the values he cherished. And maybe this is why, while “who we are and who we need to be to survive” became the mantra of other characters similarly burdened by their consciousnesses, who Monty and Harper were and who they needed to be to survive never actually splintered. Who Monty was when he shot his mother to save Octavia was the same person he remained in the fallout of that action; he never hid from the pain but he also never let it consume him. Harper got closer to losing herself in her pain, but with Monty’s help, she carved a way out of it, and the two of them found strength and a lasting happiness in each other. 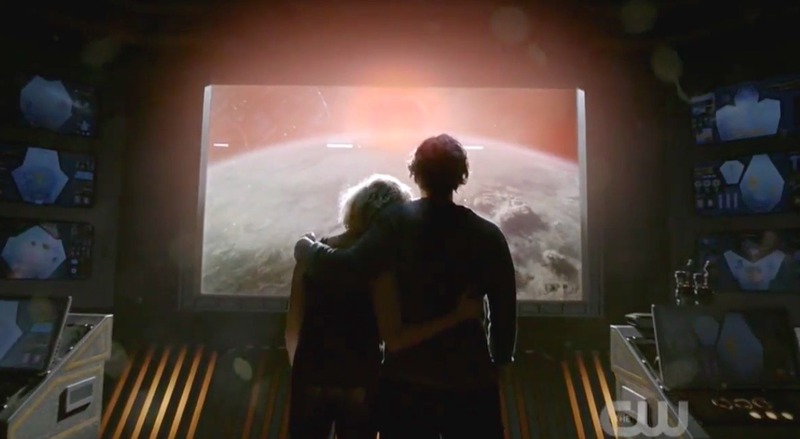 In The 100 season 4 finale, Harper and Monty were part of the group that escaped the second apocalypse by going back to the Ark, and they spent the next six years in the peace and quiet of space. Monty in particular dreaded the return to the surface, correctly predicting that all that awaited them there was another round of the hellish cycle of humanity that Jasper had identified. 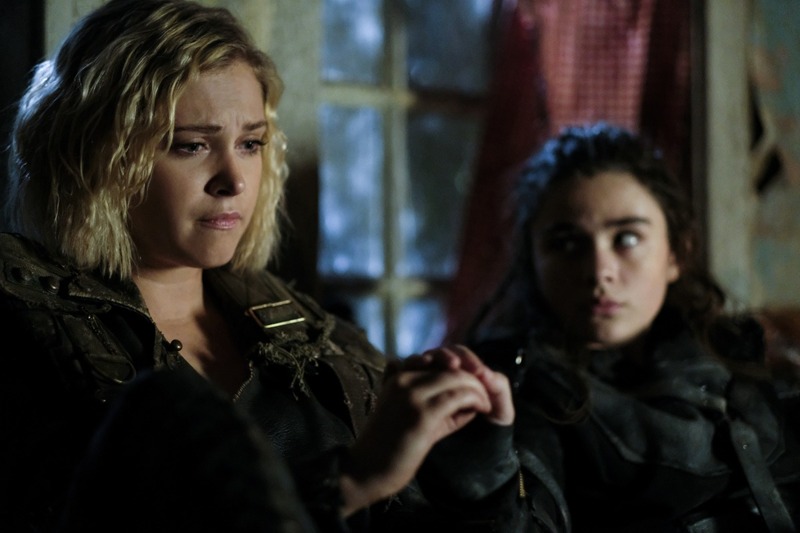 Once back on the ground, Monty’s prediction proved right: the war raged on around them, their friends turned on each other for their own selfish interests, and Monty’s attempt at a genuine alternative to war was cruelly squashed by his friend-turned-dictator Octavia Blake. So when Earth was once again destroyed, and the rest of humanity (400 souls, give or take) fled to space and went into cryo sleep to wait out the estimated 10 years of Earth’s latest period of infertility, Monty and Harper decided to stay awake and take those 10 years for themselves. To be happy, to be peaceful, to be together. Monty and Harper chose peace, despite the world and all their friends trying to convince them that such a choice was impossible. That choice was impossible. They chose to hold on to another side of humanity, one that is not despondent and resigned to ‘kill or be killed.’ They chose life; they made life, and they saved the lives of their friends in the process by staying awake and finding a new planet for humanity to call home. And in doing so, Monty and Harper reminded the characters in the show – and the audience — that there is another way to live, to be human, than the one we all feel is thrust upon us. There is an alternative to a state of constant suffering only balmed by apathy. As Harper said to Monty earlier in the season: “Everyone dies, Monty. Let’s show them how to live.” And so they did, living out their lives, spending a good 20 years raising their child before putting him into cryo sleep in order to give him the power to make his own choices like they did. They died on their terms, and their son’s existence — along with the video messages they left for their friends — will serve as a lasting reminder that yes, it is indeed possible to live rather than just survive. 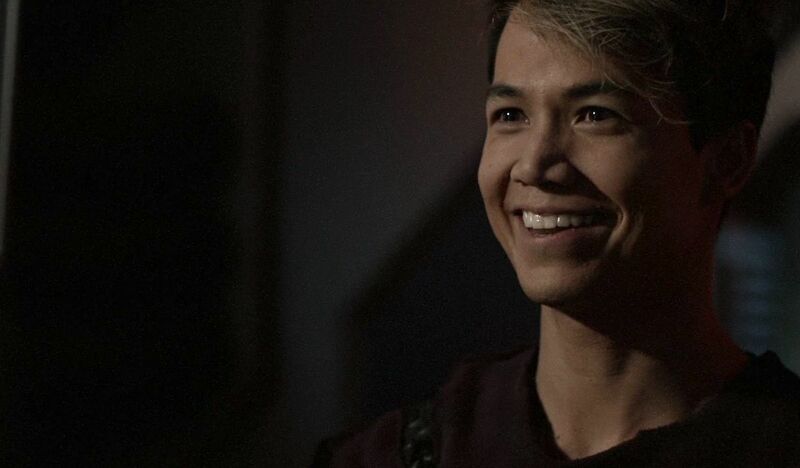 Jordan Jasper Green, played by newcomer Shannon Kook, is a literal representation of the ‘life’ Harper and Monty made for themselves, and a way for their lives and choices to continue to matter well beyond their own lifetimes. 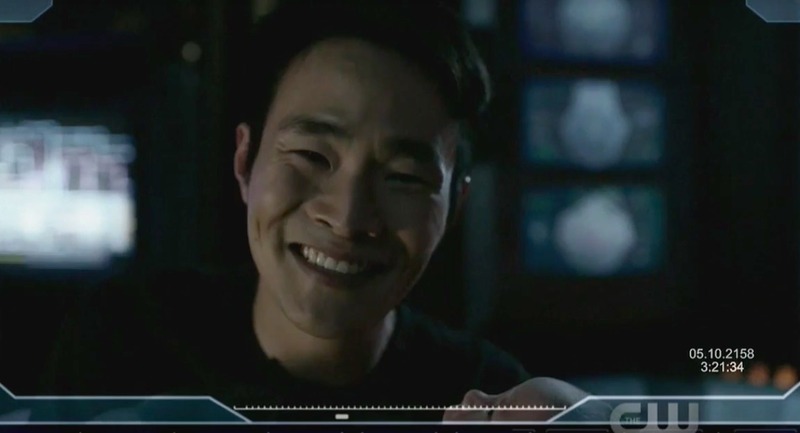 With Kook somehow managing to capture the performances of Larkin, Reist and Bostick in his first appearance in The 100 season 5 finale “Damocles, Part 2,” Jordan lets Monty, Harper and Jasper live on through him, and their old friends will be able to fully appreciate the value of their lives and deaths — and feel compelled to honor their legacy. Jordan’s existence marks another cycle of humanity having started, the character living proof that yes, parents can raise their children to be better and no, war and conflict is not necessarily wired into all people’s nature. Thus, The 100 is harnessing the power of death for something positive and lasting, rather than letting Harper and Monty’s deaths be two more needless, devastating losses of life that serve only to increase the angst and devastation for those left behind. Jasper Jordan, who had one of the most devastating deaths of The 100 to date, wrote this in a suicide letter all the way back in season 3, already then recognizing the pattern that other characters only began to vocalize in season 5. And in many ways, Jasper was right, at least insofar as predicting the narrative up until this point. The 100 is indeed showing the worst aspects of humanity and exposing our tendency to repeat our ancestors’ mistakes, and continue to perpetuate cycles of violence and othering. But if that was all there is to it, what would be the point of fighting at all? What would be the point of a story about humanity’s desperate attempts to survive if humanity’s survival is ultimately pointless? Monty and Harper’s story proves that there is, in fact, a point to it all. Even just the speck of (bittersweet) happiness that their ending provides makes the entire struggle and all that misery worth it. Because while The 100 has identified something really key and important about humanity, and is essentially using its narrative to warn us all of the dangers of falling into ‘us versus them’ patterns and inciting unnecessary conflict, it is important to still acknowledge the other side of humanity: friendship. Love. Compassion. Individual agency. The good things that make the bad parts worth enduring. Monty and Harper’s relative happily-ever-after ushers in a new era of the saga (the self-titled ‘Book 2’) not by propelling humanity to a new planet but by injecting a fresh dose of hope and possibility that makes everything that happens next — the good and the bad — matter. The cliffsnotes version of their happy ending was not just a gift to the audience but also a way to reward these two characters for the choices they had made. A promise that even on this dark journey, The 100 has not lost sight of what makes humanity worth fighting for. It proves that a story does not need to be happy to be hopeful. Monty’s life and legacy effectively dismantles the nihilistic interpretation of the phrase — there is no such thing as a ‘good guy,’ so don’t bother trying to be one — reframing it through the significance placed on individuals’ ability to choose. Over the seasons, The 100 has become increasingly fueled by unavoidable and unstoppable factors, to the point where individual autonomy is sometimes in danger of feeling completely arbitrary. The man-made war for Eden was as inevitable as Praimfaya, despite a season spent attempting to stop it. But in the end, what Monty leaves us and the characters with is the revelation that ‘good’ is not something you are or aren’t. ‘Good’ is a choice — one that he has made, to the best of his ability, every day since landing on the ground. One that he now expects his friends to make in his stead. Knowing now that there is an achievable goal to fight for will fuel the other characters moving forward. Clarke, Octavia, Kane and everyone else who had given into misery have lost their claim to plausible deniability. It is possible to break the cycle. Monty and Harper already did. Monty and Harper being able to live and die on their own terms was thus a dire necessity at this point of The 100‘s cycle, delivering an all-important counterweight to an otherwise heavy and nihilistic season that seemingly affirmed the inevitability of humanity’s self-destructive end. In the end, Monty and Harper were the shepherds of the human race, both by leading the way to their new home and by showing them how to live. They chose their own ending, and now, it is up to Clarke, Bellamy and their friends to try to live up to their example. Maybe the rest of humanity can follow their example. Maybe not. That is almost irrelevant. 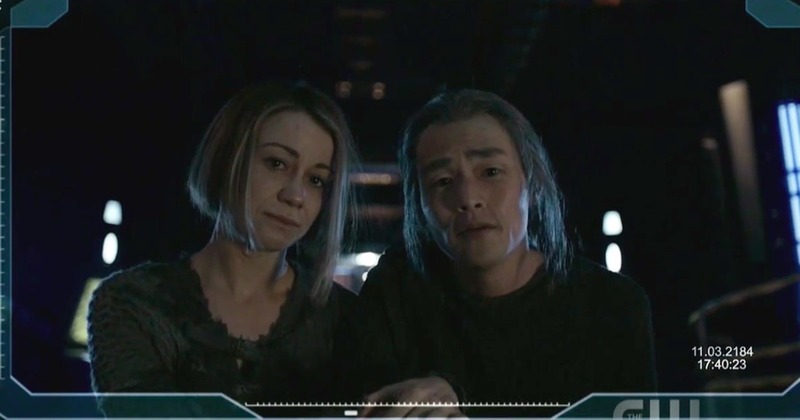 By giving these two characters a happy ending, The 100 has already proven that hope still exists even in this bleak and depressing post-apocalyptic future, and that happiness is worth fighting for until the bitter(sweet) end. Thank you, Monty and Harper, for being the good guys at a time when both of our worlds had almost convinced us that there was no such thing.